Hey all you posh, cultured, polo shirt wearing AMEX Platinum cardholders! 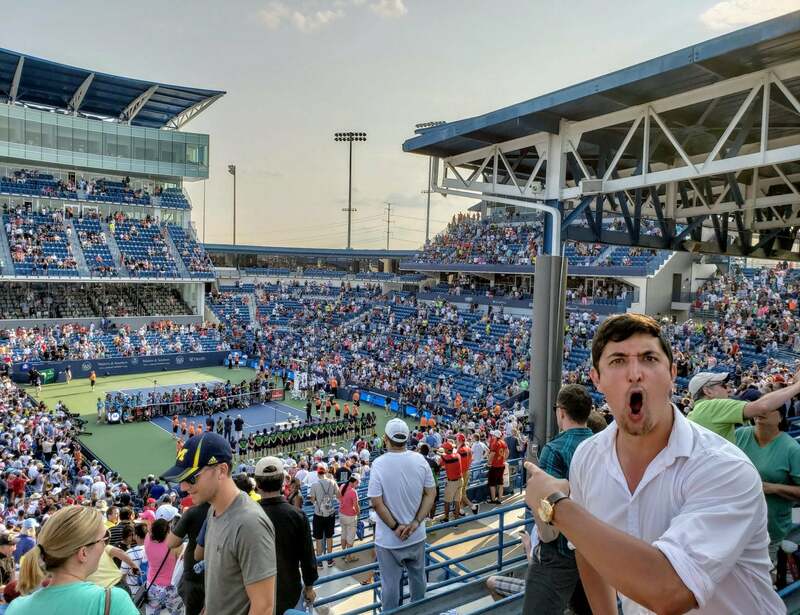 Here’s a fun extra you can enjoy during your visit to the US Open. American Express is bringing the Centurion Lounge experience to the Louis Armstrong Stadium at the US Open. If you have either The Platinum Card® from American Express or The Business Platinum® Card from American Express OPEN, you and 2 guests can enter for free! So if the heat is getting to you, an air-conditioned oasis awaits. The suite is open from 12:00 pm to 8:00 pm between August 27 and September 5, 2018. And from 12:00 pm to 5:00 pm between September 6 and September 9, 2018. Free sustenance at the US Open, let alone top-notch meals with wine pairings, is insanely valuable. A place where your food bill can easily amount to more than admission. This is another area in which the AMEX Platinum cards can save you money in ways you hadn’t imagined. And justify their higher-than-average annual fees. If you’re not familiar with AMEX Centurion Lounges, you should check them out. Many folks say AMEX Centurion Lounges are their favorite domestic airline lounges. If you often travel through an airport with a Centurion Lounge, you should strongly consider applying for either the AMEX Platinum or the AMEX Business Platinum card. Let me know if you visit the Centurion Suite at the US Open!